As a relief & development worker I documented some pretty sobering issues – child victims of war, ravages of HIV/AIDS, and injustices (mass graves inclusive) in conflict zones & places of poverty all over the world. 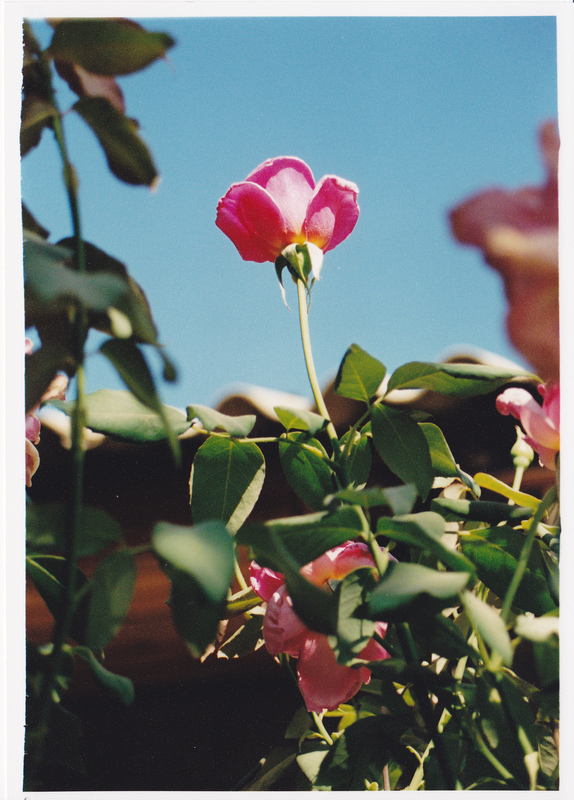 After collecting flower photographs during my first posting in the Middle East, what began as a hobby (making cards out of flower pics) became something more, especially during the Kosovo relief program. Finding roses in the rubble and capturing them on film. 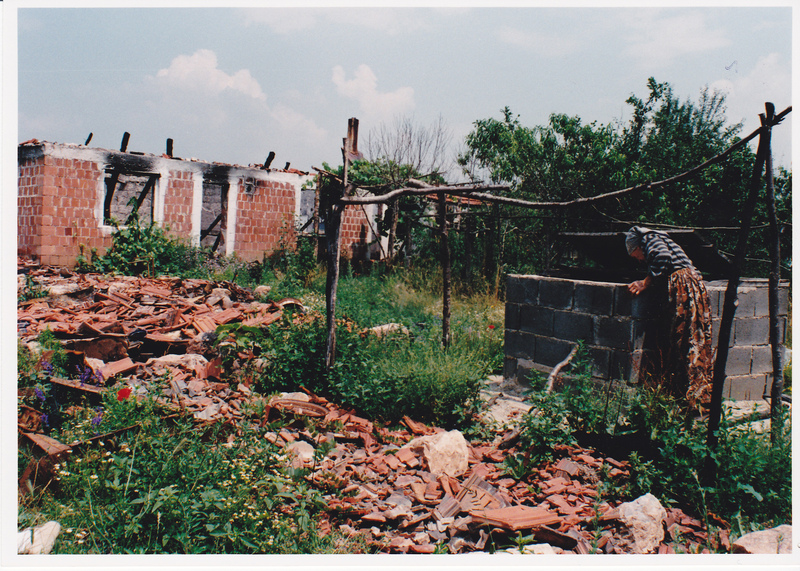 Finding beauty – HOPE – in a disaster zone. But, hey, they were still a beautiful, inspiring mess! Sometimes our lives are filled with messy mistakes, failures and piles of rubble. But the thing about finding roses in rubble, you have to be looking for them. Sometimes they’re hiding behind our fears, insecurities, anger and bitterness. But God can do the impossible & He’s rather good at bringing good out of impossibly challenging circumstances. I know that God has grown roses out of my personal rubble in impossible-to-comprehend ways and those around me (especially my bed-fast quadriplegic Papa!) I’ve also met many living roses in rubble of conflict-zones who reflect the beauty of hope to shattered hearts and broken dreams around them. Their scarred blooms are filled with petals of faith, hope, peace and love as they exude the bitter-to-sweet scent of joy amidst suffering. Living roses inspire us to be more of who we are meant to be: beloved sons and daughters of an Almighty Heavenly Father, regardless of whether we are pink, purple, red or yellow: we all come from the same human stem of life created in God’s image. If you are bogged down looking at the rubble around you. Heads up! Look around…the sun still rises & the sun still sets (keeping those Heavenly paintbrushes busy…) If God clothes the flowers of the field so beautifully, will He not take care of us? Have faith…& COURAGE. What a great writing. Yes “A rose in the rumble” . You have reminded me on how the powerful inner part of a human belief can make a great diffence in any situation in life. Believers in God are protected by his powers and his light guides them to the right destination where many more roses shall be blooming and shatter the rumbles. Viginia I am so pleased to connect with you after many years since you left Tanzania. I will be your partner in reading and building up the gift that God has given you. We worked together at CCF, and I am so glad you found yourself where you are meant to be, doing what God wants you to do. That’s when we are most able to be for god every moment of every day. It shows in what we are able to do because we have let Him take charge. it is seldom the easiest, but always the richest, most rewarding path. Feel free to contact me…I would love to know where you are and what and how you are doing. MARY ANNE!! What a blessing to hear from you.. i so remember you at CCF & all the great work you oversaw in Programs (& didn’t we zip up to DC for a few InterAction health meetings? : ) For sure, i’ll be in touch (check your email!) to catch up. Keep looking for those roses, there, Virginia. I, like Shere, LOVE your writing. I cannot fathom what you have seen and what people have lived through. Thank you so much for your encouraging comments — was wondering about keeping at this blogging thing (!) but now that Papa is getting better, can hopefully get back in the groove! Progress in utilizing that gift. Indeed the joy of the Lord is our strength! Love you Auntie Ginny! I hope this signs me up to be alerted for all future blog posts! Roes in the rubble …. what an inspired title…..and mission.